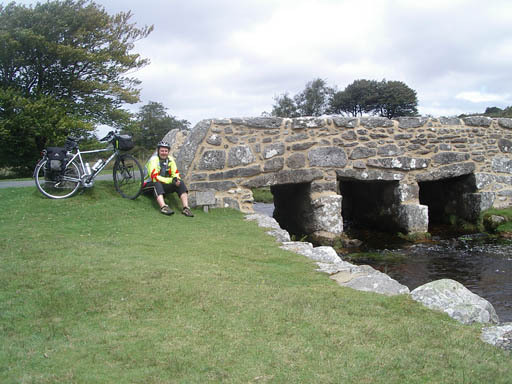 Great day mooching across Dartmoor. Still a headwind today but really didn’t matter as I was just bimbling. Took more pictures today than I did all the previous week. 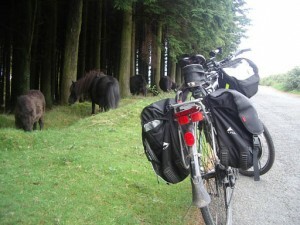 Dartmoor was magnificent and was a lovely ride. Also a great descent into Tavistock. The second half of the day included a few A roads but once up onto the Taymar Ridge the views were magnificent. Slight problem because when I arrived at the end of the route there was no sign of the campsite. After wandering aimlessly for half an hour or so I asked in a post office and was given directions.